This is from my mother's estate. She was a VIP member of the San Diego Yacht Club for many years and an avid supporter of the America's Cup Race. Thank you for submitting your item for appraisal. 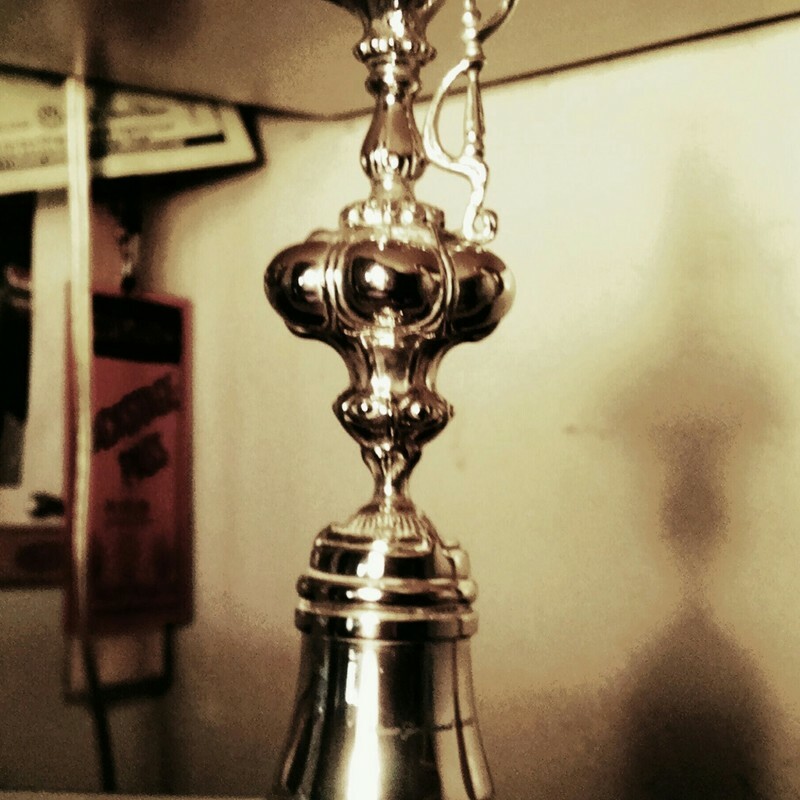 This appears to be a silver plated cast metal miniature of the America´s cup trophy. Unfortunately this specific manufacturer hallmark " eagle and ? in an oval" is not listed, I can only assume that it is either an american or italian manufacturer of silverplate. A genuine silver hallmark would be placed on each silver item, not only on the spacer ring, plus it would show the country of origin and the fineness of silver, e.g. 925 or "Sterling". The estimate is based on similar items offered or sold. A solid silver miniature would be estimated at 250-350 USD. There is no measurement for the sentimental value you might attach to the item.